Our range of Chemical Skin Peels are revolutionary dermatological formulations for healthy skin. 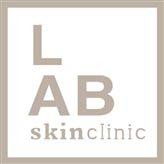 At LAB Skin Clinic, Neutral Bay, our dermatological range of chemical skin peels are a chirally correct, cosmeceutical skin care range of peels created by Dr Sylvie Hennessy – a world-renowned dermatologist and biochemist. Medicalia is a clinical peeling range and the brand that physicians recommend because it’s the best in cosmeceutical skin care. 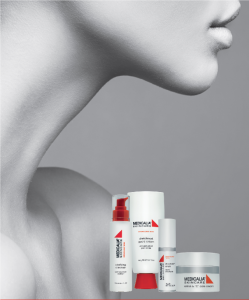 The range comprises six revolutionary skin peels of different strengths each addressing an extensive range of skin conditions requiring targeted intensive care and providing dramatic visible results. Skin peeling treatments are nothing new but our Medicalia skin peeling treatments offer maximum results with minimal side effects. Created using the finest ingredients and the most advanced manufacturing processes, Medicalia’s innovative delivery systems are what set the line apart from other cosmeceutical lines. Medicalia is our preferred choice because it also comprises a concise, easy-to-use supporting home care system. Certain acids are aggressive on the skin and whilst beneficial as exfoliants they come with inherent risks: redness, dryness, increased sensitivity and swelling to name a few. In fact, many skin peels cause the very problems that clients are seeking to combat! Winter is the best time to have a skin peeling treatment, with less exposure to the sun and heat, recovery is less risky. However, our recommendation, to help you shed your dry skin cells, is a slow delivery peeling system with options to suit different skin conditions. Peels can be categorized by depth, degree of frosting or grades, but here, the categories of superficial, medium and deep work best as they most closely relate to results. Superficial – the peel formula penetrates any or all of the epidermal layers. These peels stimulate epidermal regeneration – both cell turnover an d desquamation. With repeated applications, the outermost layer of the epidermis, the stratum corneum, becomes more compacted – contributing to a smooth texture. 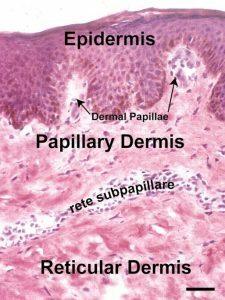 Medium – penetrates the epidermis to the papillary layer of the dermis, leaving the epidermis partially intact in the rete ridges that interlock in waves with the dermal papillae. These peels accelerate regeneration and over time, produce a thickened epidermis, and more regularity in the waviness of the rete ridges/dermal papillae. Deep – penetrates to the reticular dermis with the epidermis and dermal papillae being completely ablated. Dermal retraction occurs, which produces a tightening effect and a remodeling of collagen and elastin fibres – more alignment in the arrangement of tensile fibres. Regrowth of the epidermis occurs from the basal keratinocytes lining the shafts of hair follicles. Medication: Some medications, such as the contraceptive pill, can negatively impact that results of a chemical peel. It’s important to speak honestly with us regarding the medications you’re using before proceeding with treatment. Skin tone: While fairer skin tones often gain the best results from peels, those with darker skin can still achieve a good result – we just use a slower approach. However, it’s essential to understand the peel you are receiving, as anything too deep can lead to uneven skin tone, melasma and possibly scarring. Sun damage: Once the skin has undergone a chemical peel, it will be incredibly sensitive and delicate. Any exposure to UVA and UVB rays can be more damaging than usual so it’s important to keep out of the sun and protect the skin in the days of recovery. Cold sores: While it may not be the first thing you think of, receiving a chemical peel can actually prompt a cold sore to resurface if you have the virus in your system. If you have experienced cold sores in the past, it’s important to let your aesthetician know in advance. 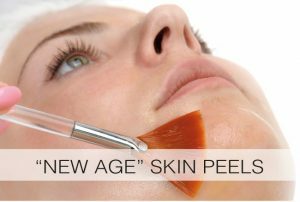 Preparation: Depending upon the depth of the peel, you may need to undertake two weeks of skin preparation before undergoing the procedure. This generally involves cleansing twice a day and moisturising with a specific cream, sometimes also using retinol such as tretinoin (vitamin A) as a topical cream. This will help the skin recover quickly, as well as peel more evenly. Daily application of sunscreen is also part of the preparation if you are not already in the habit. For a medium to deep peel, you may also be required to take a dose of medication to avoid any viral infection – especially if you suffer from cold sores, as mentioned above. Visit LAB Skin Clinic for a complimentary consultation, or for a more detailed diagnostic evaluation, call 02 9909 3602 or make an appointment online by clicking on the link below.